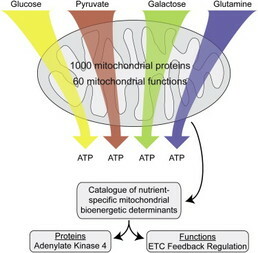 Bioenergetics is a field in biochemistry that concerns energy flow through living systems. BioEnergetic Theory Chinese medicine identified the meridians, energetic channels that form electrical pathways throughout the body. Stimulation of points on these channels with needles, heat or pressure forms the basis of many forms of health treatment, ancient and modern. The flow of life energy or ‘Chi’ in these channels relies on them remaining in balance and free of blockages, and our ability to stay healthy and fight off disease in turn depends on this vital flow. Bio-energetic or Electro-dermal testing devices allow us to assess using galvanic skin response (changes in the electrical resistance of the skin) the state of the acupuncture meridians and therefore of the energetic health of the body. It also allows us, and this is where the real power of the technology lies, to assess how the body will respond to a huge number of different remedies or other substances. All substances, whether living or non-living, have a characteristic resonant signature. Every specific tissue and organ in the human body has its own individual resonant frequency. By outputting a software-recorded ‘copy’ of these resonances we can predict how the energetic system of the body will respond to them. This scientific application of traditional methods removes the guesswork that’s involved in many analyses (conventional and complementary). This is the science of bio-energetic, or electro-dermal, screening. In a bio-energetic health screening, the energetic signatures of a large number of substances are individually introduced into the energetic testing circuit and the patient’s response is assessed through skin resistance measurements. Galvanic skin response is a well-established principle that is also used in lie detectors. Conventional laboratory testing procedures are limited in the information they offer and can be very misleading. For example, hair analysis may identify the presence of Iron. However, the hair is a pathway by which the body excretes iron, so we cannot conclude anything about the level of iron currently in other tissues. In many cases there is NO way of using laboratory testing to determine the levels of a toxic substance across the whole body (without killing the patient first!). This is why energetic testing is in many cases more useful. Energetic changes precede cellular changes – if the illness has not progressed to the point where there are cellular or structural changes, conventional tests will usually reveal nothing. This is not where the implications of bio-energetic technology end. If every substance, living or non-living, emits electromagnetic frequencies based on the amount and rotational speed of their atoms, and if we can identify these frequencies, then we have an extremely valuable tool for treatment. Remedies can be tested for compatibility with specific conditions for every unique case that a client may present. Using this approach, the practitioner can map out the most effective course of treatment. Furthermore, now that we have a database of frequencies of substances and conditions, we can imprint remedies, bespoke for the individual client’s requirements; a digital form of homeopathy completely customized for each case.